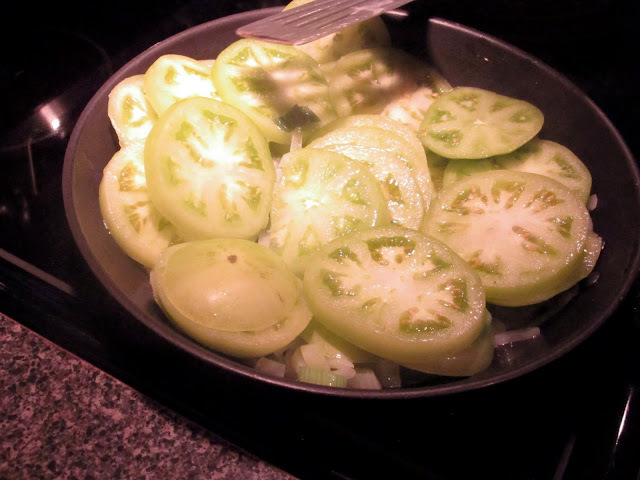 Yesterday I mentioned that I tried Fried Green Tomatoes for the very first time, so I thought that it would be a good thing to post a recipe. 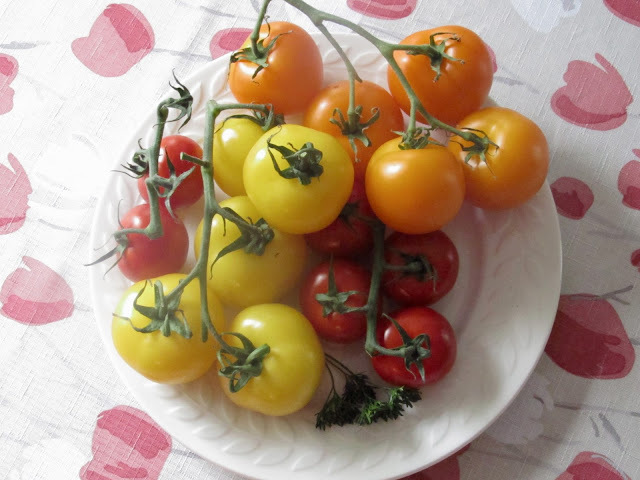 These tomatoes were bought at the St. Albert Farmer's Market, and even though I really do not have another green tomato to compare too, I thought they were superb. 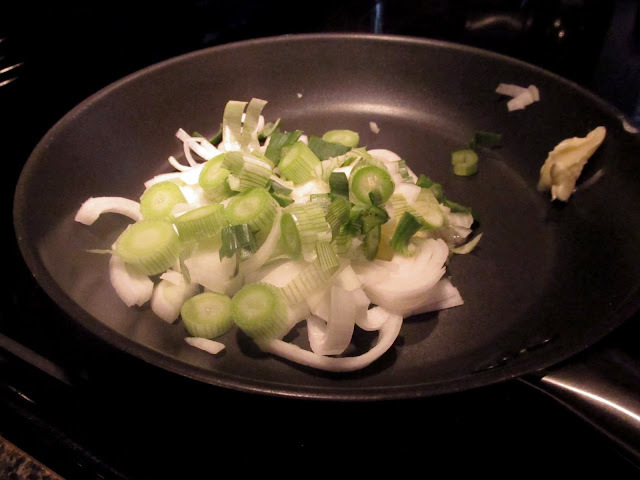 You will want to put butter and half the onions that you have chopped up into a frying pan. Cook until tender. 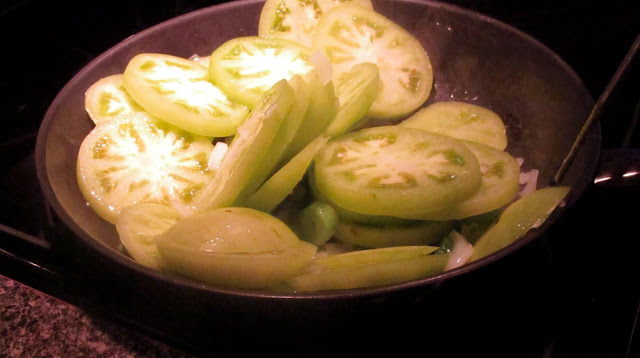 Slice the green tomatoes and add to the frying pan - cooking for about ten minutes. 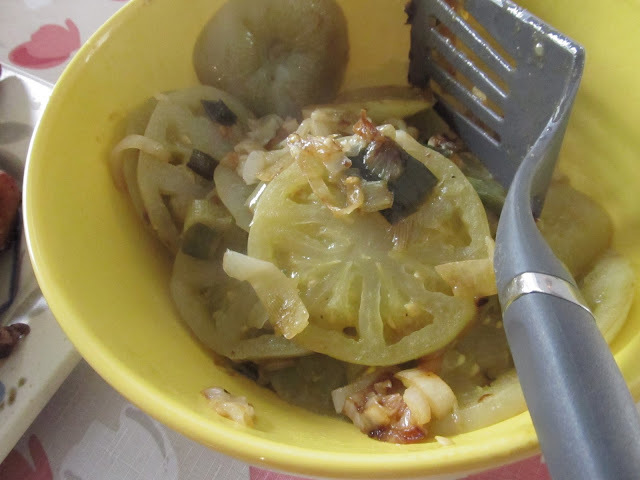 Put the rest of the onion in and finish cooking until the tomatoes are a light brown. 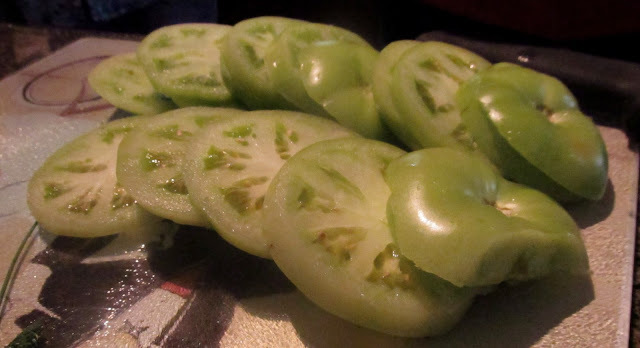 Let them cool a little and then devour.